Puydt, Émile de. Les orchidées, histoire iconographique, organographie, classification, géographie, collections, commerce, emploi, culture, avec une revue descriptive des espèces cultivées en Europe. 1880. Digitized by Harvard University Botany Libraries. 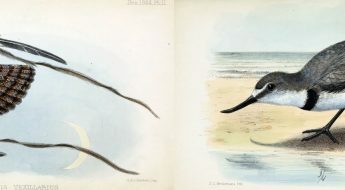 http://biodiversitylibrary.org/page/43644141. Walk into most any nursery or florist and you will see beautiful orchids of many colors and sizes, with “easy care” instructions attached right to the pot enabling even the brownest thumb success. Want to shake the winter doldrums? Attend an orchid show or meeting – there are over 500 local groups affiliated with the American Orchid Society alone. Orchids are as diverse as they are beautiful, with over 27,000 accepted species living in nearly every corner of the globe. Puydt, Émile de. Les orchidées, histoire iconographique, organographie, classification, géographie, collections, commerce, emploi, culture, avec une revue descriptive des espèces cultivées en Europe. 1880. Digitized by Harvard University Botany Libraries. http://biodiversitylibrary.org/page/43644221. We are not alone in our fascination with orchids. In the nineteenth century, Europe was gripped by what has been named “Orchidelirium.” The collection of orchids from around the world was booming as the industrial revolution continued to change the economy and reach of Europe. Amateur and professional botanists were frantically developing methods to cultivate these exotic plants under glass. Capitalizing on the orchid trend, a Belgian botanist named Émile de Puydt published a treatise on orchids in French in 1880, entitled Les orchidées, histoire iconographique, organographie, classification, géographie, collections, commerce, emploi, culture, avec une revue descriptive des espèces cultivées en Europe [Orchids, iconographic history, organography, classification, geography, collections, trade, employment, culture, with a descriptive review of the species cultivated in Europe (tr.)]. Puydt, Émile de. Les orchidées, histoire iconographique, organographie, classification, géographie, collections, commerce, emploi, culture, avec une revue descriptive des espèces cultivées en Europe. 1880. Digitized by Harvard University Botany Libraries. 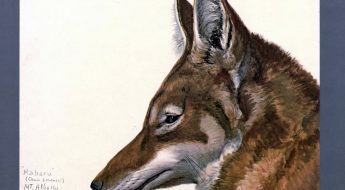 http://www.biodiversitylibrary.org/page/43643931. Les orchidées was published on the tails of another French orchid book directed towards amateurs, entitled L’Orchidophile: traité théorique et pratique sur la culture des Orchidées [The Orchid, theoretical and practical treatise on growing orchids (tr.)] by François du Buysson. Both works contained detailed information regarding orchid culture. However, L’Orchidophile is a hefty book of over 500 pages, with dense text, equipment line drawings, and tables but not a single drawing of these magnificent plants. It appealed to the serious orchid cultivator, but lacked a “wow” factor to make it appeal to a more general French-speaking audience. De Puydt’s book changed that. The more scholarly sections of Les orchidées are less than half the length of those in L’Orchidophile, yet they are filled with 237 black and white drawings of orchids, exotic locales, and greenhouses bursting with plants. The final section of Les orchidées contains fifty full-page chromolithographs (by M. Leroy and M. Guibert, of whom little is known) of cultured orchids accompanied by elegant descriptions of each species. De Puydt put his writing talents to great use, describing the orchid species as “beautiful (belle),” “magnificent (magnifique),” “pretty (jolie),” and “very splendid (plus slendide).” The book received awards from the Société d’Acclimatation de Paris and the Société centrale d’Horticulture de Paris. Puydt, Émile de. Les orchidées, histoire iconographique, organographie, classification, géographie, collections, commerce, emploi, culture, avec une revue descriptive des espèces cultivées en Europe. 1880. 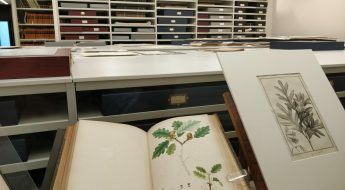 Digitized by Harvard University Botany Libraries. http://biodiversitylibrary.org/page/43644233. Following de Puydt’s book, another Belgian botanist specializing in orchids, Jean Jules Linden, began publication of Lindenia: iconograhie des orchidées in 1885. With lavish illustrations and short 1-2 page hints to growers, the work was quickly translated into English and published to reach an even more general audience of orchid-lovers. Linden highlighted orchids available through his business L’Horticulture Internationale as well as commonly cultivated species and new discoveries. Puydt, Émile de. Les orchidées, histoire iconographique, organographie, classification, géographie, collections, commerce, emploi, culture, avec une revue descriptive des espèces cultivées en Europe. 1880. Digitized by Harvard University Botany Libraries. http://biodiversitylibrary.org/page/43644277. Paul Émile de Puydt (1810-1891) was born and died in Mons, a small city in western Belgium where his father served for four years as governor of Hainaut province. De Puydt founded the horticulture society of Mons and published many articles in scientific journals and newspapers on horticulture. De Puydt did not confine his interests to botany. He was a writer, novelist, playwright, and political theorist. He coined the term “panarchy” or competitive government, where people choose the government in which they want to be a citizen. Different forms of government compete for citizens in an open market and more than one form of government can exist in the same locale. In modern times, the term panarchy also refers to a conceptual framework to understand stability and change of complex systems. Puydt, Émile de. Les orchidées, histoire iconographique, organographie, classification, géographie, collections, commerce, emploi, culture, avec une revue descriptive des espèces cultivées en Europe. 1880. Digitized by Harvard University Botany Libraries. http://biodiversitylibrary.org/page/43644309. American Orchid Society. http://www.aos.org/about-us/affiliated-societies.aspx. Accessed 1/11/2017. Comte de Kerchove de Denterghem (1891). “P.E. de Puydt.” Revue d’lhorticultre belge et etrangere. Vol. 17, 147-151. De Puydt, Paul Emile. Wikipedia. https://en.wikipedia.org/wiki/Paul_%C3%89mile_de_Puydt. Accessed 1/11/2017. Duveen, Denis I. (1973). “Les Orchidees: Histoire Iconographique by E. de Puydt.” Bulletin of the American Orchid Society. Vol. 42, No. 7, pgs. 627-629. Linden, Lucien (1881). “Paul Émile de Puydt.” L’Illustration horticole. v. 28, pg. 105-107. Orchidaceae. Encyclopedia of Life. http://www.eol.org/pages/8156/overview. Accessed 1/11/2017. Sustainable Scale Project. http://www.sustainablescale.org/ConceptualFramework/UnderstandingScale/MeasuringScale/Panarchy.aspx. Accessed 1/11/2017. Zhou, Li (2015). “Orchidelirium, an Obsession with Orchids, Has Lasted for Centuries.” Smithsonian Magazine. http://www.smithsonianmag.com/smithsonian-institution/orchidelirium-obsession-orchids-lasted-centuries-180954060/#kro3ZxCy1rSpeL5J.99. Accessed 1/13/2017.